If you were ever wondering why they never made a sequel to “A Christmas Story”, they did. It took 11 years & lightning doesn’t strike twice. I discovered this movie over the summer when going out looking for Jean Shepherd material after doing my review of The Great American Fourth of July and Other Disasters. I still haven’t worked my way through all of the gems I unearthed, but with time you’ll see them all reviewed here and I sincerely hope it brings some much needed attention to this amazing talent. It’s frankly surprising that I hadn’t gone hunting for this before now, as the first thing I usually do when enjoying a film or book is look into what sequels or related projects were made. Chalk it up to the fact that A Christmas Story is so omnipresent that it’s hard to remember a time when it was simply a new movie. Besides, while it took me 41 years to discover this “sequel”, it took them 11 years to make one, so I’d say we were all a little late to the party. Now, on its 20th anniversary I can finally shine some light on this forgotten picture. 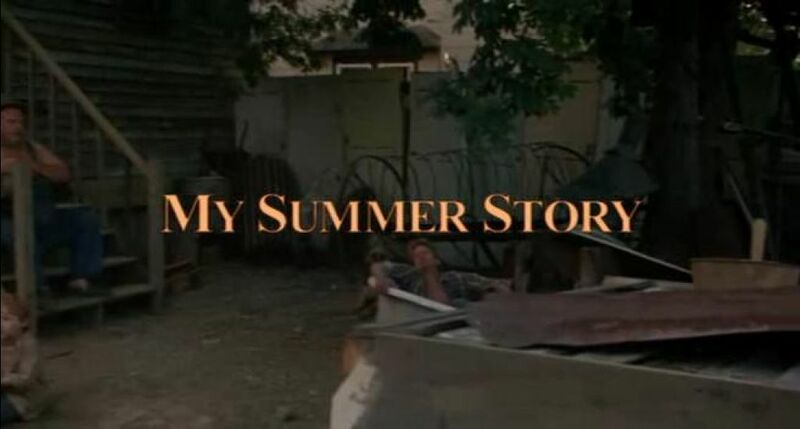 The original title of My Summer Story was changed to It Runs In The Family* because the studio didn’t want to invite comparisons to A Christmas Story. That’s your biggest selling point! Without the connection to that classic film you just have a retro coming of age story that the 1990’s were littered with. I get that you don’t want to raise expectations too much, but you only discourage that relationship in peoples minds if you think you have a dog on your hands. In a case of supremely bad timing, this movie about summer was released in late September. Who wants to watch a movie about all the exciting things that can happen in the great time of year that you just missed? 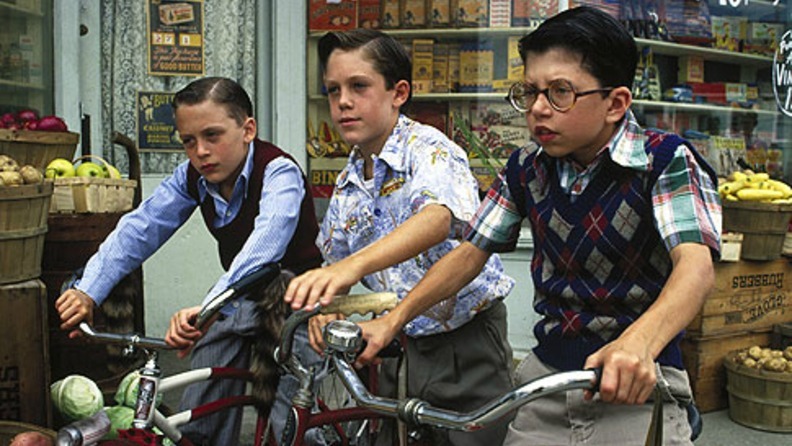 *Interesting tidbit about the title; this picture features 2 of the Culkin brothers as the Parker boys; a 3rd Culkin (Rory) was in the 2003 Kirk Douglas movie that re-used the name “It Runs in the Family”. 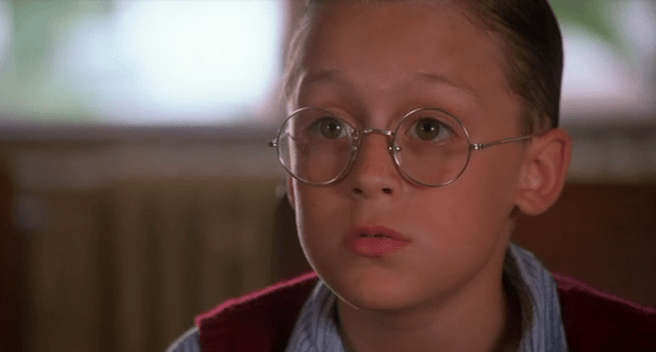 The story of the film once again follows the exploits of the Parker family and is similarly structured to other Jean Shepherd stories; intertwining plot lines of quaint absurdities, narrated with Shepherd’s captivating delivery. The stories are classic Shepherd, coming mostly from “In God We Trust, All Others Pay Cash”, Bob Clark repeats his directorial duties and nothing has been done to radically change the tone. In this one, Ralphie does battle with the neighborhood bully over the top game “Kill”, Mrs. Parker strives to complete her collection of celebrity-branded dishes from the local theatre and The Old Man’s troubles with neighbors the Bumpeses escalate out of control. But while the formula is the same, the result falls quite short. Why? Is it too simplistic to suggest that it just isn’t as funny? Because it really isn’t. 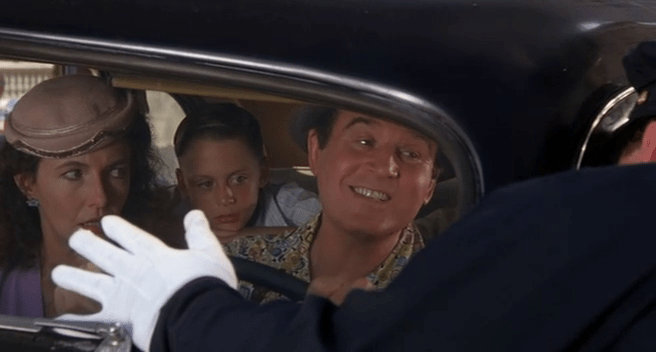 Oh, there are other problems – Charles Grodin, while very good, simply can’t live up to the standard set by Darren McGavin as The Old Man; the Bumpus thing falls victim to the Louis Tully rule and is completely over the top – but mainly the gags just aren’t as entertaining. The biggest issue with the picture, though, is probably that these adventures, while amusing, are terribly specific and non-universal. The quest for the perfect top isn’t really about the kids game, of course, any more than A Christmas Story was about BB guns, but the absence of a major uniting theme such as the holidays in his previous stories prevents My Summer Story from really landing that solid punch. There’s nothing connecting these anecdotes to a larger vision and so it feels more like a series of funny stories. At the end of the day, it’s still Jean Shepherd waxing poetic about his halcyon days, preserving an idyllic vision of Americana that we all want to believe in. While My Summer Story may not reach the heights of its holiday themed brethren, it is a fun and worthwhile picture. It is now summer in the Parker family; and the usual amount of numerous events are happening in their separate lives. 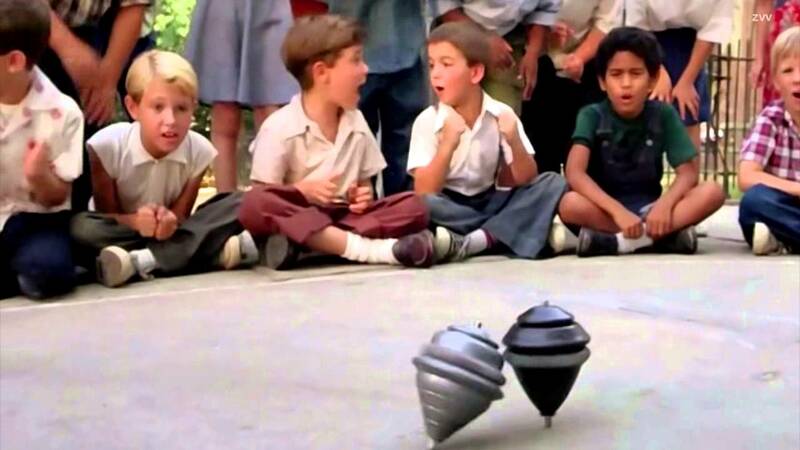 Ralphie is searching for the perfect top to use to beat the school bully with, the Old Man is in battle with their hillbilly neighbors, the Bumpus, while eagerly awaiting the discovery of the perfect fishing spot, and the Mother is attempting to collect all of the pieces of a glass china set at a local movie theater.